The FBI determined Clinton and her staff exhibited "extreme carelessness" by sharing classified information on an unsecured private server that was kept in Clinton's basement. Other individuals with ties to Clinton also received immunity deals over the course of the investigation. The hearing Monday was the latest development in conservative watchdog Judicial Watch's lawsuit, filed against the State Department in July 2014, after it failed to respond to a FOIA request. The lawsuit relates the Sept. 11, 2012 attack on the U.S. consulate in Benghazi, Libya, which shined light on Clinton's email server. 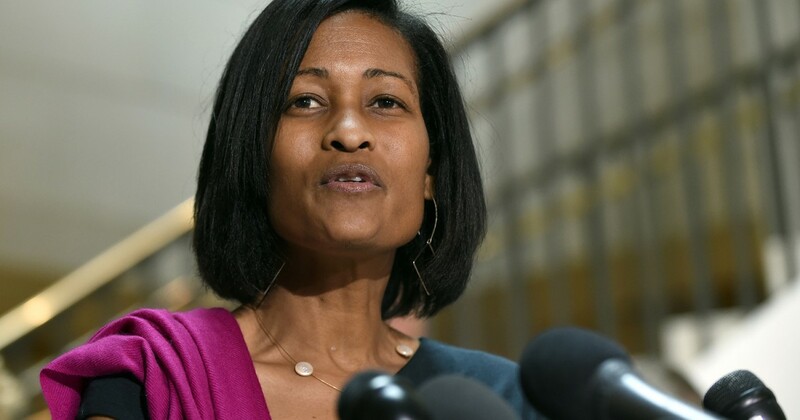 Lamberth ordered the hearing due to a request by Judicial Watch for testimony under oath from Clinton, Mills, and other State Department officials on the FOIA and emails matters. Judicial Watch announced what had been said during the hearing in a press release Wednesday. In a statement, Judicial Watch President Tom Fitton said, “President Trump should ask why his State Department is still refusing to answer basic questions about the Clinton email scandal." During the 2016 election cycle, Trump's campaign said Clinton undoubtedly ran a "criminal scheme" at the State Department after it was reported that Mills and others got immunity. Lamberth previously has been critical of Mills. Back in a 2008 opinion, Lamberth described Mills’ conduct in handling a separate email controversy as an official in the Bill Clinton White House official as "loathsome."